Toy Story 3 is out, and it’s in 3D. And to be fair, I will probably go and watch it!! 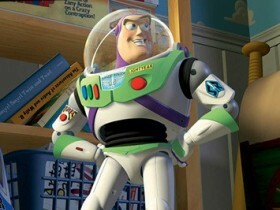 However, I don’t think I am quite the die hard fan like 26 year-old Steve Bolton, sorry Buzz Lighyear. Yes Buzz, or formally known as Steve, a mechanic from West Bromwich has official changed his name to Buzz Lightyear to mark the release of Toy Story 3.